Hey friends! First of all, I wanted to let you all know that I created a new tab on my blog which you can find in the Menu called "My Favorite Creations" which has a slideshow of all of my favorite cakes and cookies I have created/decorated. Check it out! I hope you are all having a great week so far. Can you believe it's already Wednesday? The 14th of October?? Of 2014??? Time is just flying by and I hope you are all spending every day doing what you love. Life is such a beautifully special thing- it would be a shame to do anything that doesn't make you happy. Don't you agree? 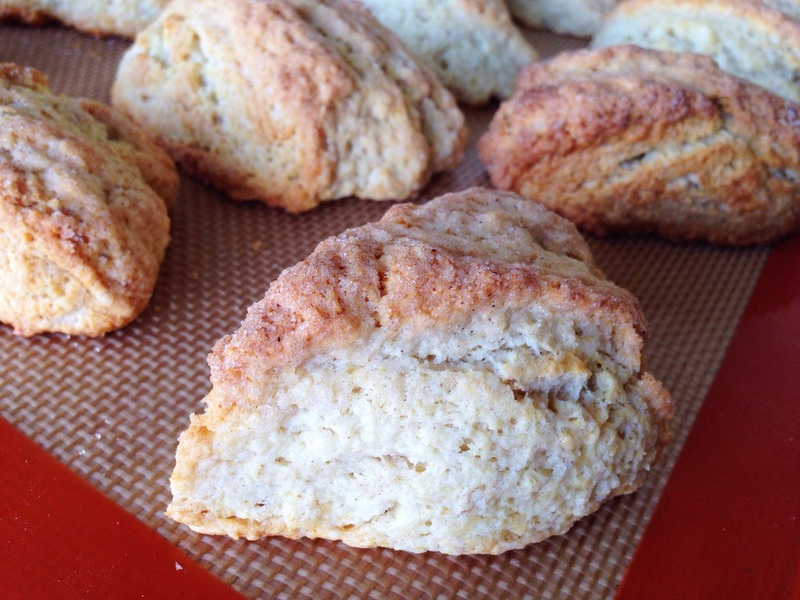 Today I made these amazing Snickerdoodle Scones. I used a recipe from Sweet Pea's Kitchen which you can find ***HERE. *** Personally, I don't like scones that are too sweet so I was interested to see how a Snickerdoodle scone would come out (since, you know, they're covered in sugar.) So, I omitted the glaze that is used in the original recipe and WOW. They are crazy good. I'm sure they would be equally as great with a glaze but I didn't feel it was necessary with these. They. Are. Perfect. Actually, these are one of my favorite things i've made to-date. The cinnamon sugar crust is crispy and slightly crunchy, while the middle of the scone is warm and fluffy. These are AMAZING. I am telling you.. If you do not make these, you are missing out. Normally when I make scones, I like to use heavy cream so I was a bit hesitant when I saw that there wasn't any in this recipe. Instead, they use sour cream. 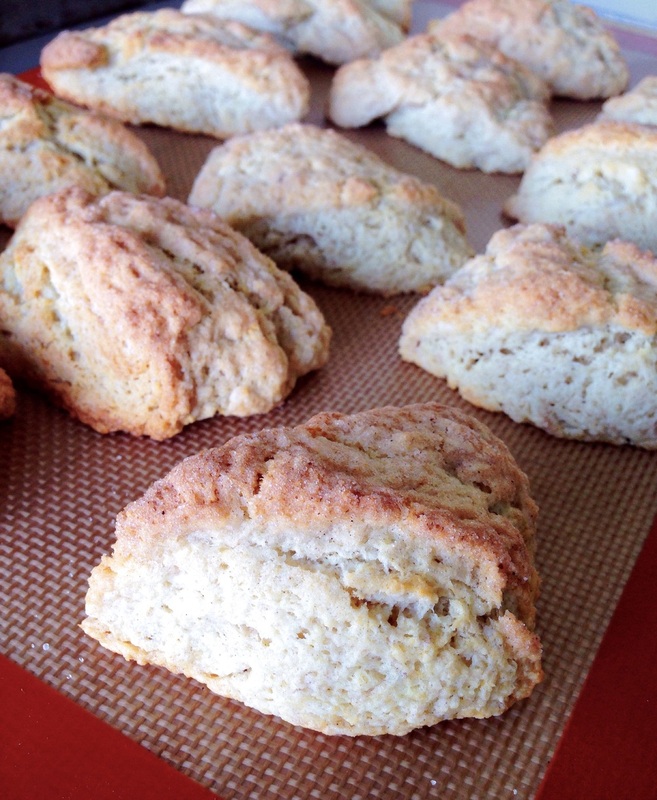 I think I have to experiment with some other scone recipes with sour cream because the texture of these is to die for. Try them out and tell me what you guys think!